RELEASE DAY! 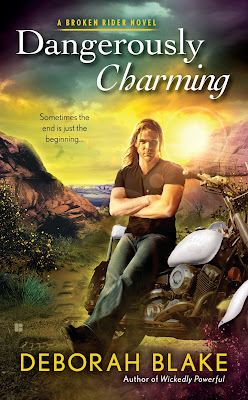 Dangerously Charming is here! Then we made corn dollies. You can find easy instructions on YouTube, but all you need is the husk off an ear of corn, and some string or twine, and a pair of scissors. May you have a blessed Samhain and a wonderful new year! 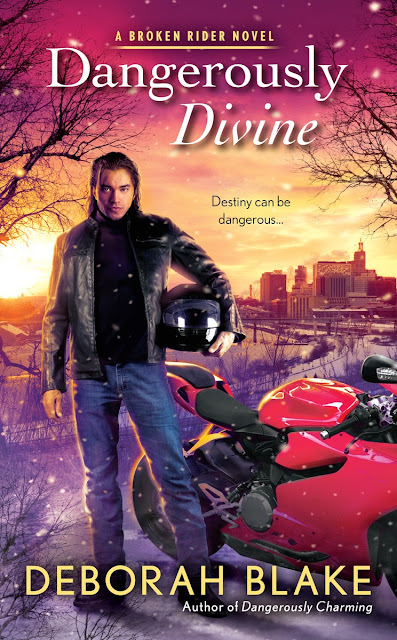 DANGEROUSLY DIVINE is the second in the Broken Rider series, and features the eldest of the three Riders, Gregori Sun. It won't be out until November 2017, alas, but in the meanwhile, here's this to hold you over. I think they did a pretty good job of making Sun look the way he was in my head. (If you're looking for the longer hair and Fu Manchu mustache mentioned in the earlier books, they're gone, because Reasons.) The story takes place in Minnesota in winter, as you can see. He IS dangerously divine, isn't he? And they even got his red Ducati on the cover! It's hard to believe, but DANGEROUSLY CHARMING has been out for two weeks! People have been asking me how the book is doing, and to be honest, the answer is: I think it is doing well, but it is really hard to know for sure. Mind you, I was pretty happy to see this on day two..
Getting to #106 in the SF & Fantasy/Fantasy/Romantic category for Kindle was definitely great. Sales are down a bit since then, of course, now that the first release rush is over (have you gotten your copy yet?) but the reviews are starting to come in, and most of them are pretty good. The bad ones are hardly making me cry at all. 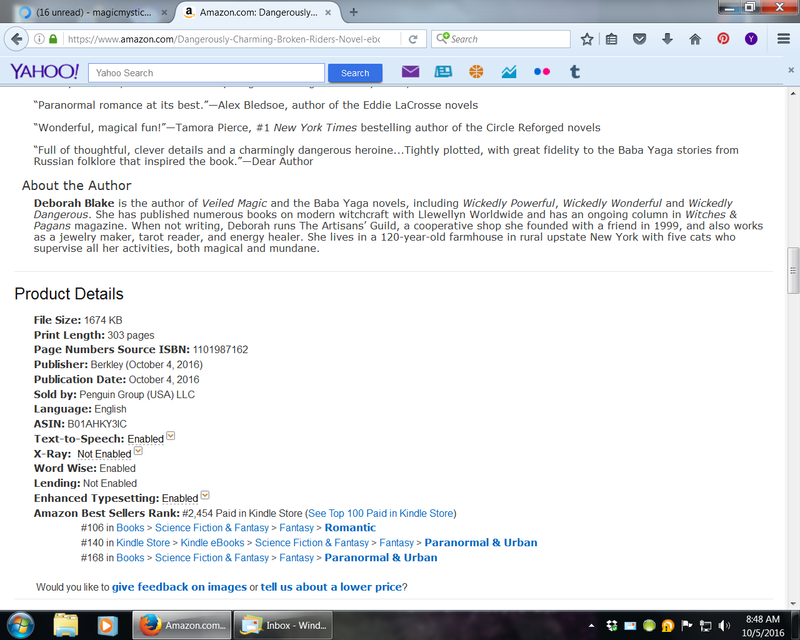 If you've read the book and loved it, could you put up a review at Amazon, Goodreads, and/or B&N pretty please? You would have my undying gratitude. I thought we'd celebrate with a small giveaway: a $10 Amazon gift card. If you haven't read the book yet, you could use it to buy a copy (or catch up with the Baba Yaga series, if you need to). Or, you know, anything else you want, or even buy a copy for a friend! Good grief. The last two weeks just flew by. How is it the middle of October already? It seems like it was just the 2nd, release day. That was a busy day and week. Then I had visitors for the next week (more on that tomorrow, if I have time). Which means that today was the first day I had to catch up on All the Things. Needless to say, there is still a lot to do (revisions of the second Rider novel are on the agenda for the rest of the evening), but this was what I did today. Made pesto out of the last of the basil to come out of the garden (a week ago, with the help of pal Ellen). We pulled everything out and put the garden to bed, since the nights are turning frosty, even though the days are still pretty warm. Pesto-making supplies....it looks like a lot, doesn't it? All that made three little jars. But still, yum in the freezer. Then I Skyped with my friend Kathy (you know, until Skype died on us...I think we broke it talking about politics). Then I cleaned the pellet stove, so it was ready to go when things get even colder. Messy job, and tough to do when you can't kneel, but I found a stool that helped. Look how clean! Which I then ate some of, supervised by Magic the Cat. Hey, I earned that beer! Guess who got to be in charge of the remote? You want to watch WHAT? Now I have about two hours to spend on revisions before I go to bed. Tomorrow I have an appointment before work at PT and then one after work with an orthopedic specialist, since the knee seems to have stopped improving. I'll try to post some pictures of the week of visitors after I get home, if I'm not too fried. What did you do this Sunday? And, um, read any good books lately? Are you as excited as I am? I hope so. I know I've been doing a LOT of promo for this book, and I promise, after today, we're going back to cute kitty pictures and stuff like that, but bear with me for one more day of shouting about this book I'm so proud of, okay? In case you missed it, I'm doing an informal Release Day party on my Facebook Author Page (you're following me there, right?) from 3PM-9PM today, October 4th. I'm giving away all sorts of goodies and generally sharing my joy with whoever shows up. Will you be there to help me celebrate? If you do buy the book, I hope you’ll post a review on Amazon, B&B, and/or Goodreads when you’re done, since those reviews are a big part of what gets other people to read the book. Thanks to all of you for all the encouragement and cheering about this book. It means more to me than I can say. 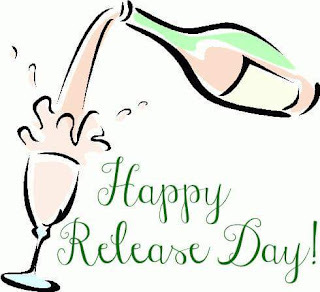 Happy Release Day to us!